After 25 years of service, Norman Gunsolley is retiring this June from his leadership at Warsaw Christian School, Warsaw, Indiana. 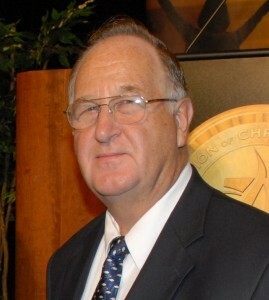 Norm is only the third administrator of the school during its 54-year history of educating area students from Pre-K through sixth grade. Warsaw Christian School is affiliated with the Community Grace Brethren Church of Warsaw. Raised in Nebraska and educated at Trinity College (Illinois), Norm taught for seven years in public schools. Then he felt a life calling to Christian education. Before coming to Warsaw he led two other Christian schools including a startup school in Iowa. Norm’s service to students totals 46 years with 39 years in Christian education. Along the way Norm completed administrative degree work at universities in South Dakota and Illinois, as well as Saint Francis University and IPFW in Fort Wayne and Grace Seminary in Winona Lake. During his tenure at Warsaw Christian School, hundreds of students have graduated to higher levels of learning. Norm’s accomplishments include gaining full accreditation for Warsaw Christian, starting Noah’s Ark Preschool, and implementing a special needs program. Further initiatives include state-of -the- art classroom technology and a thriving grandparent’s organization. As Norm concludes his ministry at WCS, Mr. Doug Buller will assume the position of school administrator. Doug has worked alongside Norm as a teacher for 13 years and as Warsaw Christian School Principal for 11 years. Doug and his wife Shawne have three children. Norm and his wife Mary Lou have four grown daughters and eleven grandchildren. Upon retirement Norm looks forward to supporting WCS as an active school grandparent. He will also continue to consult with other Christian schools across the country. Warsaw Christian is part of the Association of Christian Schools International (ACSI) in which Norm is well known as a leader. Norm has long expressed the passion “to disciple children to know, love, and follow Jesus Christ with their lives.” The result is generations of Warsaw Christian graduates in successful families and careers all around the world. A retirement open house is planned for Sunday, June 3, at Warsaw Christian School, 909 South Buffalo St., Warsaw, Indiana, from 2-4 p.m. All are welcome to come and honor Norm Gunsolley including students, alumni, parents, grandparents, friends and the community. Cards and personal thoughts can be personally delivered at the celebration event or mailed to Warsaw Christian School, 909 S. Buffalo St., Warsaw, IN 46580; or emailed to wcs@warsawchristian.org; or faxed to 574-267-1486.